The mission was to kill the most wanted man in the world-a mission important enough it couldn't be handled by just any American military or intelligence force. This was a mission of international importance, and the best America had to offer was needed. As such, the task was handed to roughly forty members of America's supersecret counterterrorist unit-an elite and mysterious unit known as Delta Force. These Delta warriors had help, about as good a help as you can get. The CIA, a dozen of the British Queen's elite commandos, and another dozen or so Army Green Berets stepped up. This team waged a modern-day siege of epic proportions against Osama bin Laden and his seemingly impenetrable cave sanctuary burrowed deep inside the Spin Ghar Mountain range. Over the years since the battle ended, scores of news stories have surfaced offering tidbits of information about what actually happened in Tora Bora. Most of it is conjecture and speculation. 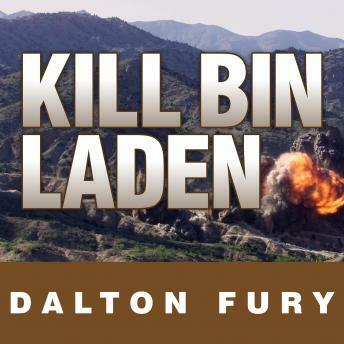 Kill Bin Laden is the first ever accurate, firsthand account of this battle and an inside look at the extraordinary nature of Delta Force and how they operate.